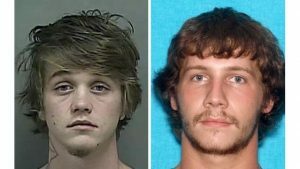 Two suspects wanted in connection with a Monday shooting at a Kingsport apartment complex have been captured in Kentucky. The Adair County Kentucky Sheriff’s Office reports that suspects Joseph Dale Clark, 19, and Alexander M. Hamilton, 22, were taken into custody by their deputies. Clark and Hamilton are accused of killing victims Trevor Reed, 30, and Shyane Bishop, 27, in the Stonecrest Apartment Complex near West Stone Drive. The pair are charged with second degree murder and attempted second degree murder. They are still incarcerated and await extradition back to Tennessee.